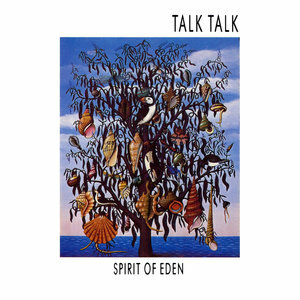 Talk Talk's Spirit of Eden is still as stunning and sublime in 2018 as it was in 1988. "You should never listen to music as background music. Ever. When Spirit of Eden was released on September 16, 1988, it was considered commercial suicide. The lyrics too obscure, the instrumentation too odd, the tempos too slow, the vocals too soft for the tastes of the majority of music listeners in 1988. This was not Mark Hollis' concern. He was no longer interested in releasing music with any commercial potential whatsoever. His was a more ambitious concern: creating an album that would encompass genres, heal the listener's wounds, and transcend its time. Spirit of Eden masterfully accomplishes all three of Mark Hollis' goals. It is appropriate that the band released the album in September. The first track "The Rainbow" opens the album with abstract jazz and the droning haze of insects murmuring. It sounds like the final days of summer, autumn around the corner. The influences of Miles Davis and Alice Coltrane breathe and expand in "The Rainbow" with the contemplative, cosmic jazz emerging out of the silence. The mysterious horns are then undercut several minutes into the track with a stark guitar and harmonica. It is an ancient blues. The first lyric is "The world's turned upside down." The lyrics then mention corruption, the jailer, the lawyer, and the trial. The lyrics lament "Our nation's wrong." Humanity's injustices led to the loss of paradise. "Eden" counters this darkness with divine light. "Everybody needs someone to live by. Rage on omnipotent." "Eden" is the ambient echoes of Brian Eno melded to the atmospheric mysticism of Popol Vuh. "Desire" returns to the blues but breaks the chains. The guitars scrape like the Velvet Underground and the drums crash and thunder like Led Zeppelin. "Desire" is the one moment on the album that could be considered earthy, visceral rock 'n' roll. "Inheritance" opens the second side of the album with complex and drifting textures as Mark Hollis intones his pantheistic lyrics ("Lilac glistening foal." "On the breeze they flow.") The song's atmosphere floats on glowing organs ("Nature's son.") The middle section of this song is a classical impressionist interlude with woodwinds, reminiscent of Debussy and Ravel. The song's last lines are another benediction, another meditation, another prayer. "Heaven bless you in your calm. My gentle friend. Heaven bless you." "I Believe in You" is the cathartic climax of the album. The lyrics of "I Believe in You" are the depths of depression and despair. "On a street so young laying wasted. Enough ain't it enough. Crippled world." The melancholy sadness is soon transfigured by the soaring organ and the swelling voices from the Choir of Chelmsford Cathedral. The church hall of St. Augustine's in Highbury was converted into the Wessex Sound Studios in the 1960s. The celestial, ethereal environment had a deep effect on the recording sessions for Spirit of Eden. Mark Hollis experienced epiphanies similar to those of Florian Fricke when he recorded In Den Garten Pharaos and Hosianna Mantra. Engineer Phill Brown assisted Mark Hollis in constructing his painstaking vision not only through different recording techniques, yet also through altering the consciousness of the band and the guest musicians. "It was very, very psychedelic. We had candles and oil wheels, strobes going, sometimes just total darkness in the studio. You'd get totally disorientated, no daylight, no time frame." "Wealth" is ambient gospel. "Wealth" is the closing denouement of the album. "Wealth" is a peaceful and quiet funeral. "Bear me a witness to the years. Create a home within my head. Take my freedom for giving me a sacred love." At the age of 33 (the same age as Blind Willie Johnson when he finished recording his 30 timeless spiritual blues songs), Mark Hollis completed Spirit of Eden, a cycle of music that was equally spiritual and timeless. Spirit of Eden is similar to Van Morrison's Astral Weeks in its method of surrounding a poetic singer-songwriter with genre-defying guest musicians who embark on exploratory improvisations. Spirit of Eden influenced and inspired the three most experimental and innovative albums of the 1990s: Lazer Guided Melodies (Spiritualized), A Storm in Heaven (Verve), and Hex (Bark Psychosis). All three albums followed its patterns of dynamic intensity, free jazz improvisations, and spaces of silence. "A child of fragrance so much clearer in legacy." Mark Lager's essay about George Romero and Tobe Hooper is forthcoming in CineAction and his essay about Peter Bogdanovich's Targets is forthcoming in Film International. His poetry has been published in Chiron Review and Opossum. His translations of the French poet Raoul Ponchon have been published in Circumference, Columbia Journal, and Denver Quarterly. He has written a Southern Gothic screenplay (To Death With You) and a novella about the crisis in Syria that takes place during 24 hours in Aleppo (The Dust Shall Sing Like a Bird).